If you love picturesque landscapes, historic castles, and charming villages, then you have something in common with the producers of the HBO television show Game of Thrones! Many scenes from Game of Thrones were filmed across the provinces of Spain. If you’ve chosen to travel to Spain then you will have the opportunity to see ample sites where Game of Thrones was filmed. Additionally, many of these locations are less crowded than the more popular filming locations in Northern Ireland and Croatia. This means that most of the time, you’ll be able to take in the sites without many other tourists around. 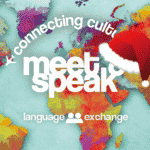 You’ll be able to experience these sites at your own pace. 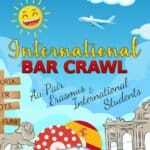 Take your own photos at Sept of Baelor in Girona, walk along the beaches of Dragonstone in Zumaia, or enjoy the Water Gardens of Dorne in Sevilla. Keep reading to discover the Top 8 Game of Thrones filming locations across Spain! 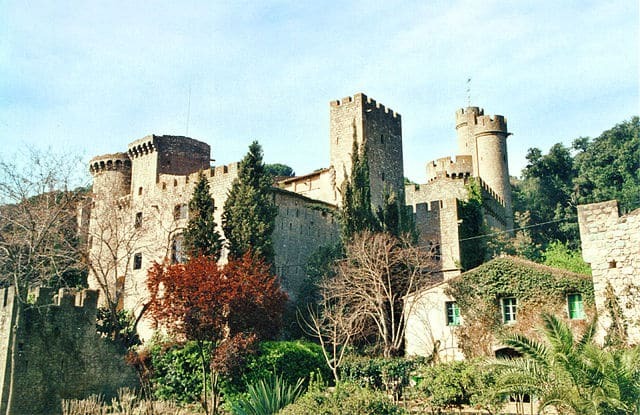 Here we have the Castell de Santa Florentina, or the childhood home of Samwell Tarly. This location doubled as Horn Hill, when Samwell returned in season six. Its illustrious history includes its initial construction in the 11th century, its expansion in the 14th century by the knight Ferrer de Canet, as well Architectural Digest naming it one of “most beautiful houses in the world” in 1998. This castle sits in Canet de Mar in the region of Barcelona. To find out how to tour, visit, or even rent out this castle for an event, click here. This castle, found in Guadalajara, was used in several Game of Thrones scenes during the flashbacks with young Ned Stark as the “Tower of Joy”. Built in the 12th or 13th century, this site was originally a Moorish fortification. Its remote location made it a perfect place to film Game of Thrones. To get here, travel to Guadalajara with your Abono metro card. However, due to its location, a car is necessary to travel from Guadalajara to the Castillo de Zafra, but you’ll find its well worth the effort! For the tourism website for this historic site, click here. Look familiar? These are the steps Cersei walked in King’s Landing after being jailed by the High Sparrow. Quite a bit of CGI was used in the filming of these scenes in order to create the Sept of Baelor that is seen in the show. However, when standing on these steps, you can easily imagine the scenes that took place here. 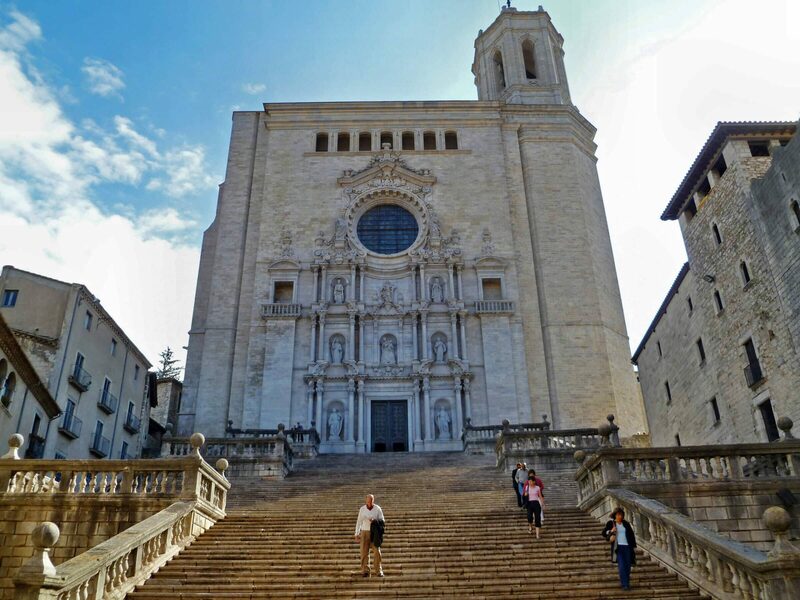 This Roman Catholic church was built in Girona in the 11th century and includes the world’s largest Gothic nave, with a width of 22 meters. While in Girona, feel free to check out other Thrones scenes that were filmed here, including Arya’s escape from Braavos. For more information on how to visit this cathedral, click here. 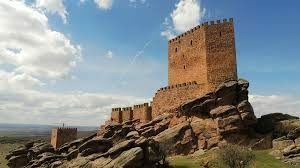 There are numerous locations in Spain for the GoT producers to tape the many scenes including castles and villages, but what about the many scenes that take place in the wilderness? 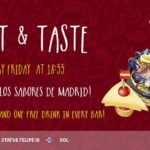 Due to the many different regions and climates of Spain, producers were able to find a place to film these scenes too. During her time with the Dothraki, Daenerys spent a lot of time in the desert wilderness. 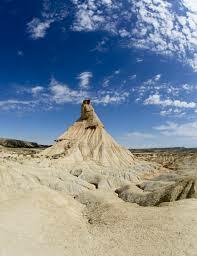 In many of these scenes, the badlands of Bardenas Reales were used to film the Dothraki Sea. This desert is found in the southeast region of Spain. Before your visit, read about the recommended route to take through this Spanish national park. The shores of Itzurun beach were used to film Daenerys return to her homeland, Dragonstone. Covered with rocky outcrops suspended over the blue sea, this location is one of the most beautiful Thrones sites to visit. 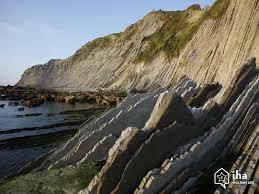 To find this beach, travel to the town of Zumaia, found in the Spanish province of Guipuzcoa. Fun fact, this stretch of rocky outcrops is actually the longest continuous rock strata in the world and visitors can also find many fossils along Itzurun beach. After exploring Zumaia, travel to the nearby town of San Sebastian, full of entertaining bars and restaurants, a beautiful old town, and multiple museums. In Sevilla, you can find the beautiful Water Gardens of Dorne. This castle was originally built by Castilian Christians for King Peter of Castile. The upper levels of this palace are still used as living quarters for the royal family of Sevilla. Additionally, this UNESCO World Heritage Site is the oldest Royal Palace still in use in Europe. Here, you will not only be enjoying the gardens that Myrcella enjoyed upon her leave from King’s Landing, you will also be taking in an important site of culture and heritage in Spain. 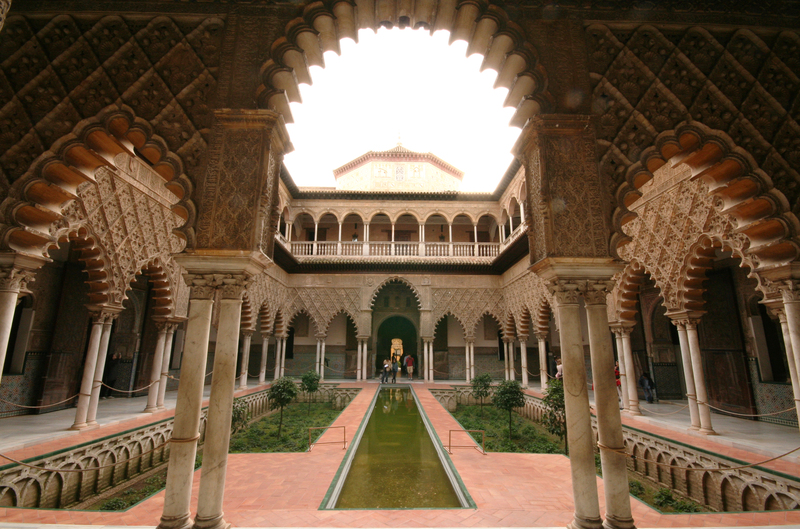 Before you visit, be sure to check out the Alcazar’s tourism website. 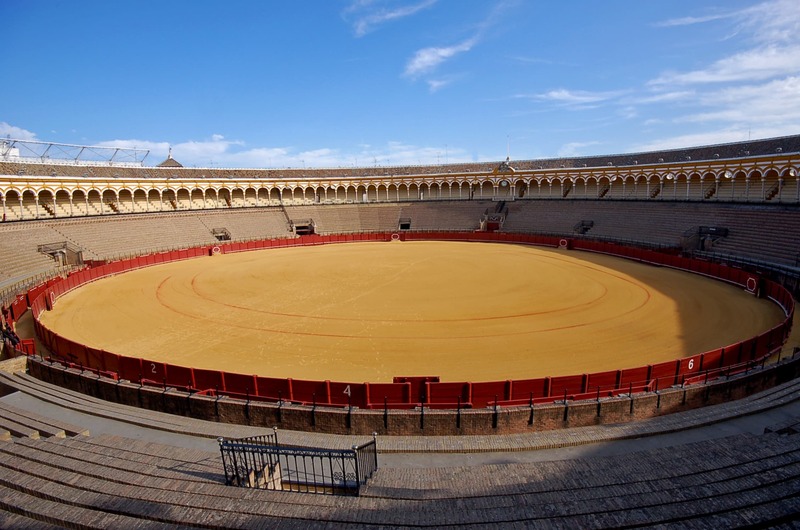 The Plaza de Toros in Osuna doubled for the fighting pits of Meereen in season 5. Here, a major battle scene between slaves, nobles, and even Daenerys’ dragons takes place. This bull pit was originally built in 1904, making it one of the more historically recent Spain Game of Thrones filming locations. About 5,000 people can fit in this bullfighting plaza. Many Osuna villagers were used as extras in the audience of the big battle scene. 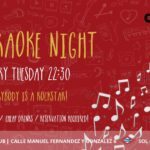 The town of Osuna is about 1 hour away from the beautiful town of Sevilla. The Roman Bridge, found in Cordoba, was used by Game of Thrones producers as the Long Bridge of Volantis. When Tyrion and Varys first arrive to Volantis after their long carriage ride from Pentos, they explore the Long Bridge. After filming, this location was amplified with CGI, in order to fully generate the vision of the Long Bridge that the producers had. This bridge was originally constructed in the first century B.C. by the Romans, however, it has been repaired numerous times. 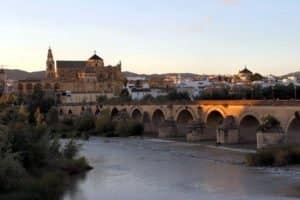 Read more about Cordoba before your visit by clicking here. 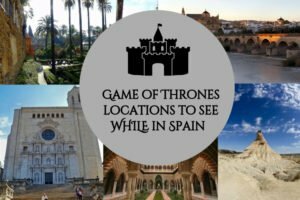 Have fun exploring the many regions of Spain on your quest to see these Game of Thrones filming locations! 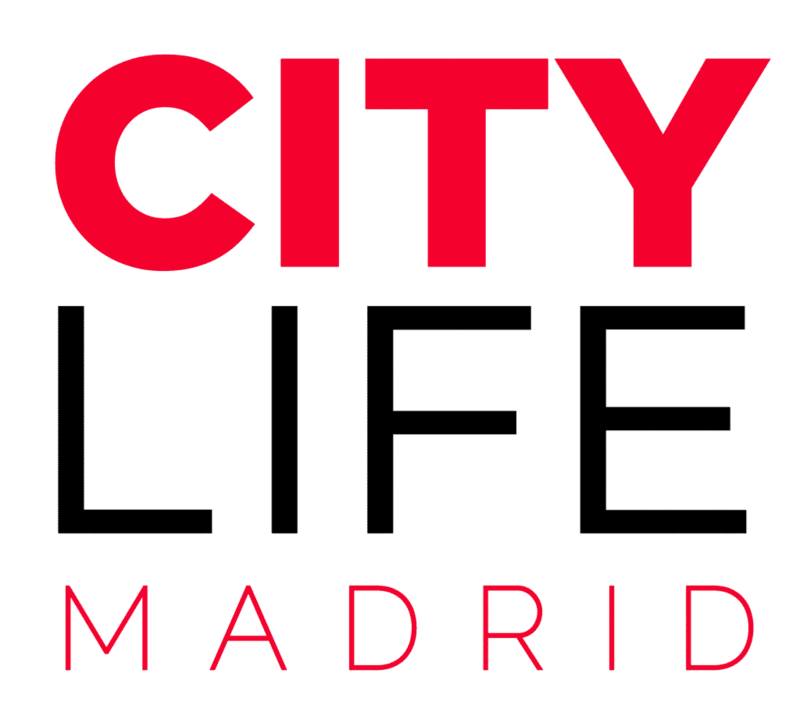 Feel free to join us on any of our trips across Spain to discover even more of the striking cities and gorgeous countryside of this scenic country.